We love singing and signing, but we LOVE signing stories with Makaton too! 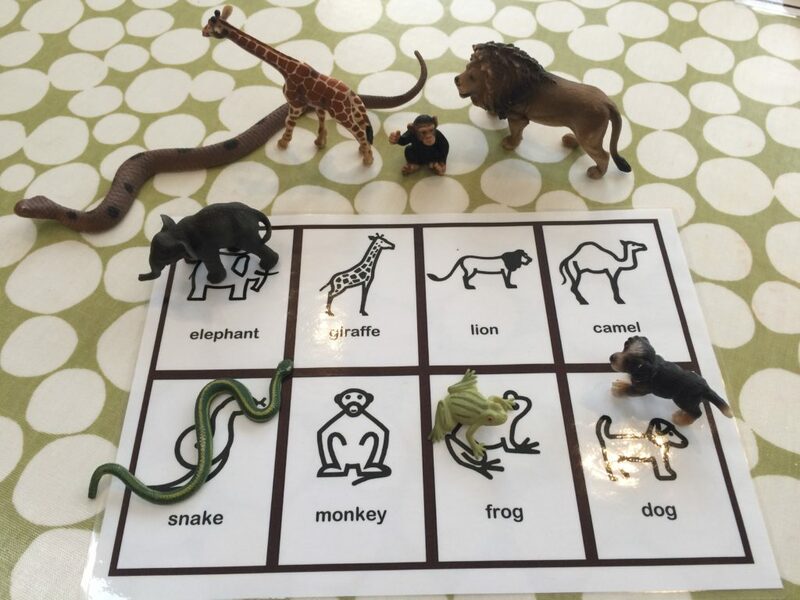 We always incorporate signed stories in our Singing Hands sessions as they are the perfect vehicle to rehearse and utilise key Early Years’ vocabulary. 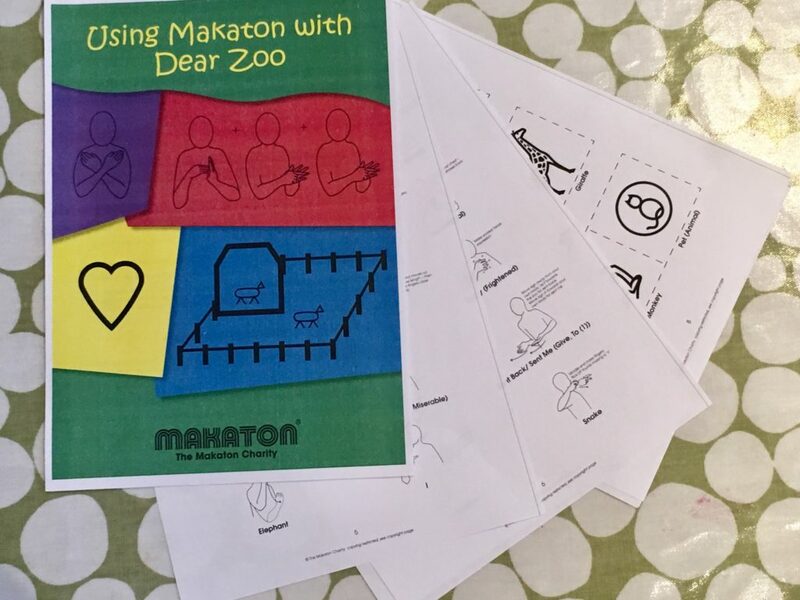 If you enjoyed the story, why not head over to the Makaton Charity online shop where you can find this fantastic download! For just a couple of pounds you’ll have all the key signs in line drawing format as well as the Makaton symbols for the story. 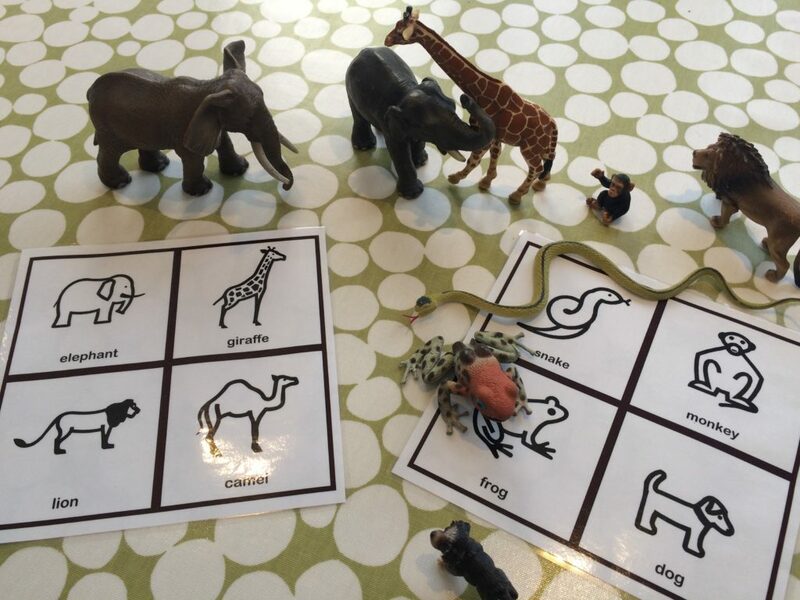 To tie in with reading the DEAR ZOO book, we always try to think up some games which will help us reinforce the new signs and concepts we’ve learned whilst reading the book. 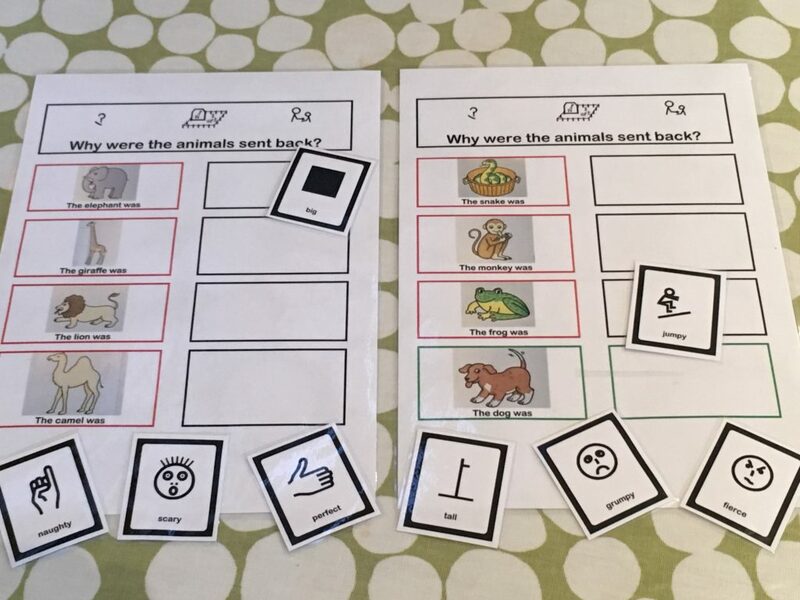 Back at Singing Hands HQ we use Communicate In Print alongside the Makaton disks so that we have access to the line drawings and symbols to create endless resources. It is an invaluable piece of software for us as it allows us to use the symbols in creative and varied ways. In the images above, you can see that we’ve made a 4 x 2 lotto and then photographed the animals in the book to match the images to the symbols. You’ll obviously also need access to a laminator to make sure you can play this game time and again (we have a secret passion for laminating too!). 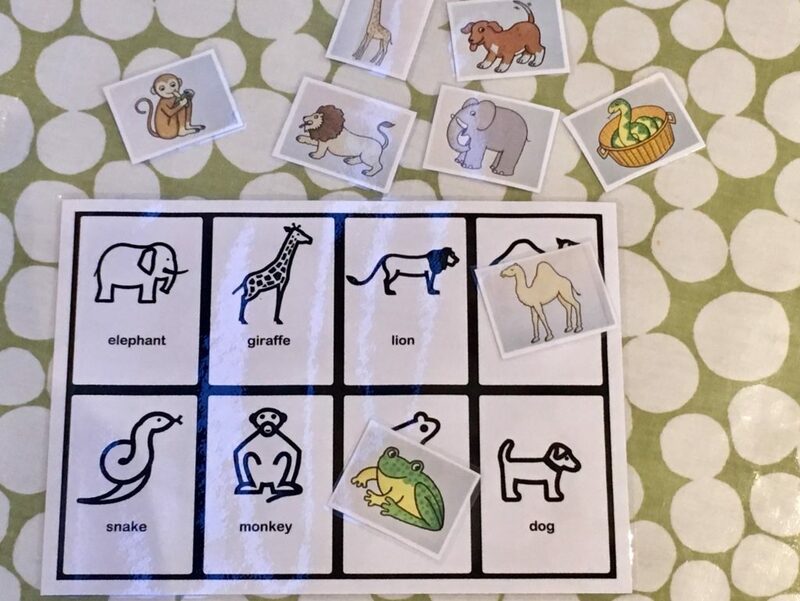 The lotto game not only gives you the opportunity to reinforce the animals signs and check your child’s understanding, it allows you to use signs such a ‘same’, ‘different’, ‘well done’, ‘try again’ & ‘finished’. Why not try the game with eight photos of the real animals as well? As another option, we made the symbols into individual cards and played SNAP. 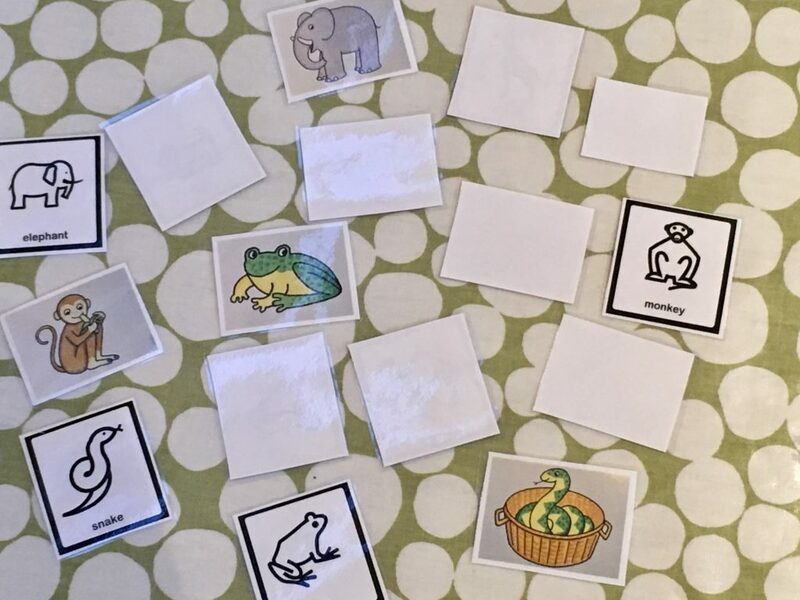 In order to make the game last longer, make multiple copies of each symbol and each Dear Zoo animal to allow you to match symbol-to-symbol, picture-to-symbol and also picture-to-picture. Alternatively, we play different LOTTO games using the objects of reference. This game can be enjoyed with just one larger sheet with all eight animals on it or you can have a two-player game by splitting the symbols across two boards. These are particularly nice if you have a tactile learner! You can then use the pictures and symbols as a MEMORY PAIRS GAME. Start by showing all the pictures, then turn them over and mix them around. Take turns turning over two cards – helping to name & sign what you both see and again signing concepts such as ‘same’, ‘different’, ‘well done’ , ‘your turn’ or ‘try again’ until you’ve matched all the pairs. 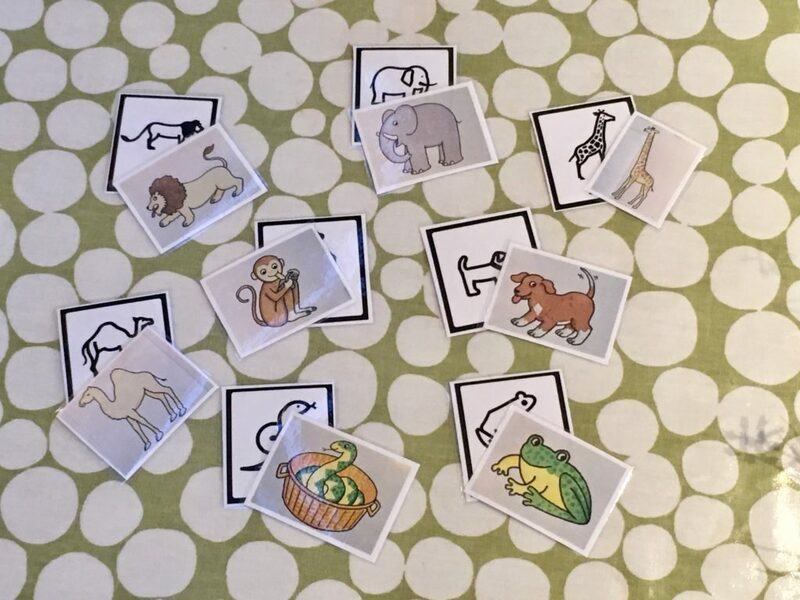 Our final game is a MATCHING GAME where we pair up each animal with the reason that we sent them back to the Zoo! This is a great way to recall the story and to reinforce the adjectives and emotions signs too. We hope you’ve enjoyed reading this post and it’s given you lots of Zoo-related inspiration – have fun! PreviousPrevious post:I Ho, Ho, Hope It’s Santa Claus – Makaton Carpool KaraokeNextNext post:Personalised Birthday Videos! 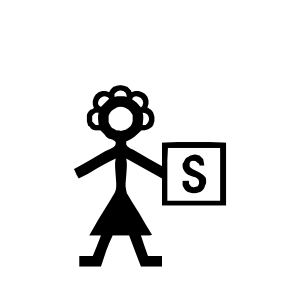 I have downloaded the other story symbols from the Makaton website, seen above but it doesnt include these..